Come your sixties and beyond, hair will likely be noticeably thinner and less manageable than it used to be. As grey hairs are coarser than regular hair, the overall texture of your tresses are prone to change; whilst those of us with naturally curly-hair may experience a straightening of the texturel and straight-haired ladies may see an increase in wave and frizz. 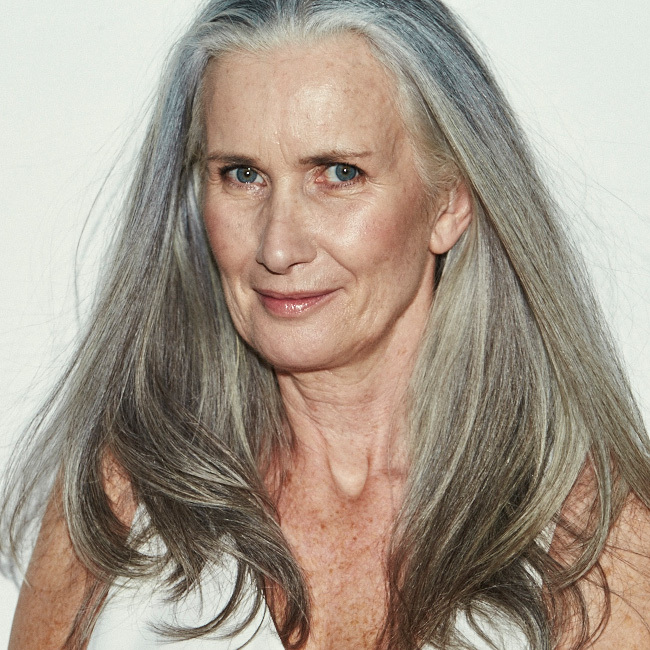 Hair stylist Lesley Hunter advises cutting hair into a shorter style when you reach your sixties, “it’s easier to maintain and also provides a more youthful look.” When it comes to colouring, dye hair with soft colours that will complement your skin tone. Alternatively, if you find the whole exercise of root touch-ups and frequent salon trips exhausting, take inspiration from the growing trend that sees younger generations purposefully dyeing their hair grey, and embrace silver! The key is to making sure that hair still looks and feels healthy. 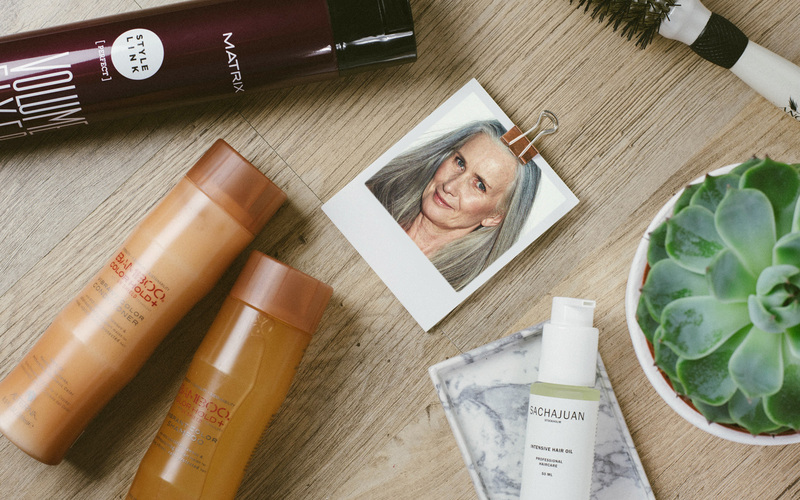 Since ageing should be synonymous with a more confident and carefree approach to beauty, keep hairstyling to a minimum and utilise a few tried and tested to techniques to give hair life and lustre with minimal effort. 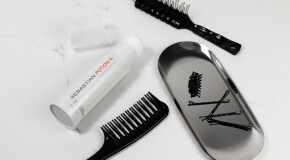 To inject volume, flip hair over after washing, and rough dry it to create texture and buoyancy. Avoid using multiple styling products (which will weigh hair down with product buildup), and instead utilise a 2-in-1 hairspray such as Matrix’s Style Link Volume Fixer Hairspray, which creates lift and provides the necessary support for a voluminous style. 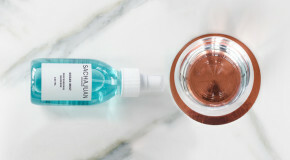 Another multi-tasking product that is certain to luxe up your haircare routine, Sachajuan’s Hair Perfume mists hair with the brand’s refreshing signature fragrance, whilst taming static and boosting shine for a silky, luminous finish. 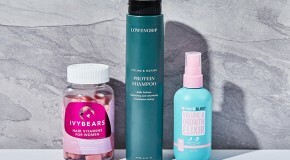 The essential elements for a good hair day, in just one bottle. The bad news: as hair ages, it becomes coarser and frizzier, loosing the soft sleekness of its youth. 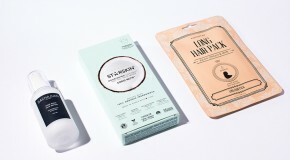 The good news : with the correct cocktail of oils, anyone can fast-fix perfectly healthy hair. Rich in fatty acids, oils help to replace lost lipids in hair (promoting a softer texture) and act as natural lubricants and sealants, detangling, and binding cuticles to prevent breakage. To restore a silkier texture, Sachajuan Intensive Hair Oil is the ultimate hair health booster; rich enough to slick things down, but hair absorbs it well, so it won’t look greasy (even at the roots). “It’s important to continually add moisture into the hair,” advises Hunter, who recommends products rich in macadamia and avocado oils like Wella Professionals Oil Reflections Smoothing Oil, which nourishes and balances the maturing scalp in order to revitalise and fortify hair structure. Apply an oil to dry hair overnight as a targeted conditioner, and rinse out in the morning for noticeable smoothness and fuller-looking hair. Hair dyes remove lipid fats that protect hair so it’s important to use shampoos and conditioners specifically designed for colour-treated hair, and (when possible) use dyes that are free from harsh chemicals. If you’re in need of an effective hair treatment to boost colour, Alterna’s Vibrant Colour Shampoo & Conditioner are low-commitment alternatives to the time-consuming ritual of deep-masking. Between the two, damage from dye jobs is reversed and hair is shielded from colour-fading UV rays, whilst rinse-resistant technology places colour on lockdown.